You receive your massage in a specialized ergonomic chair which I can bring to your location or perform in my massage studio. In addition to the usual health benefits of massage, another benefit of chair massage is that it is done over the clothing. With seated massage, you can avoid the discomfort and awkwardness that you may feel in disrobing for a traditional massage. 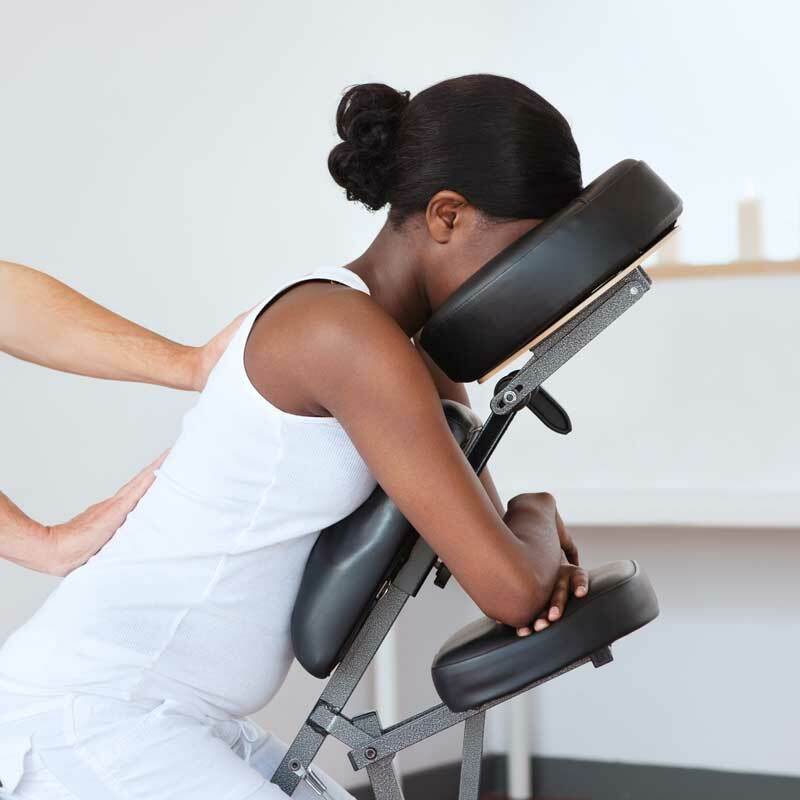 Also, chair massage sessions are shorter than traditional massage, making it convenient enough to fit into your busy schedule. I encourage employers to consider chair massage as an incentive and/or a thank you for the hard work that your employees do for your company. It’s also a fun thing to incorporate into a home spa party or at an event. Available in sessions of 5 minutes up to 30 minutes, this massage is an ideal gift for anyone in your life that could use a quick pick-me-up.